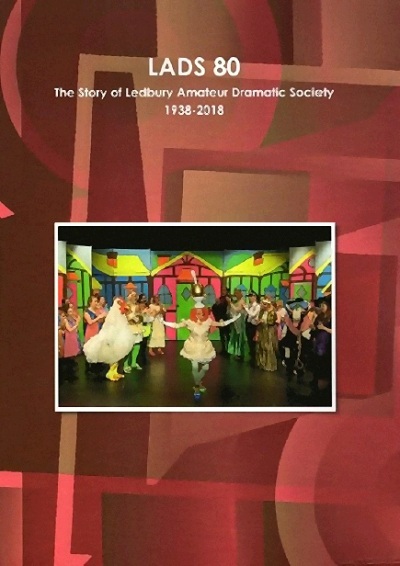 Ledbury Amateur Dramatic Society (LADS) is celebrating its 80th anniversary this year. LADS is the second-oldest voluntary organisation in Ledbury after the Rugby Club. How the Society might have folded after a disastrous fire. There is also a complete list of every known LADS production - well over 250 of them! As well as being a fascinating account of the Society’s development, this volume will be an invaluable reference work in the future. Orders are being accepted now. The price is £12.50 up to the end of January 2019, and £14 after that. Delivery is free in the Ledbury area, or if collected from the theatre. Postage outside the area is £2 extra.